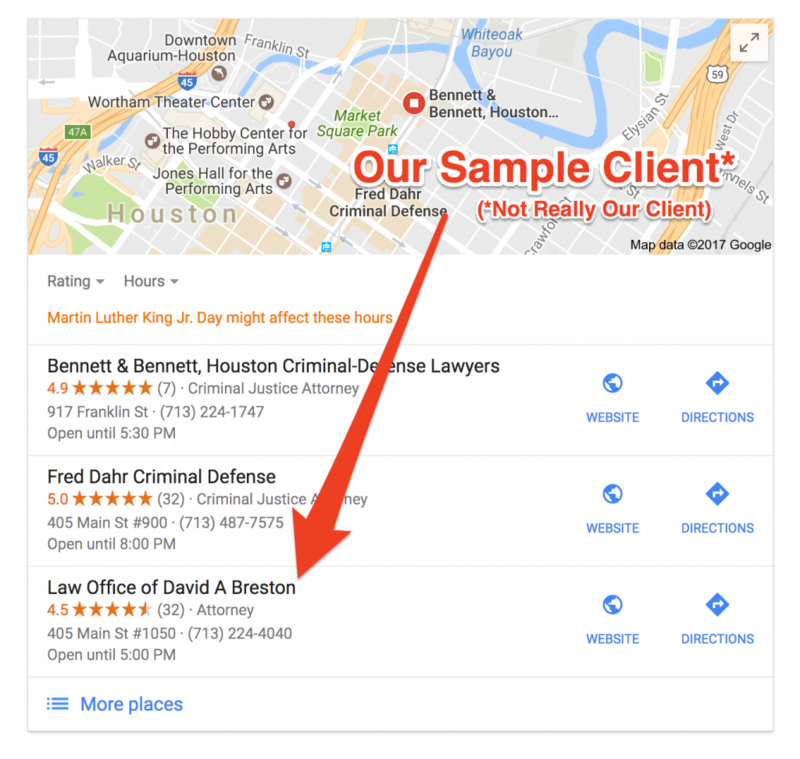 You already know that the firms that land the top spots in the search results aren’t necessarily the best lawyers. However, they probably have hired a decent marketing company to optimize their online presence. Hiring the right internet marketing company can make or break your firm. A good company can significantly boost your monthly revenues, but a bad company can absolutely destroy whatever traffic you’re already getting. 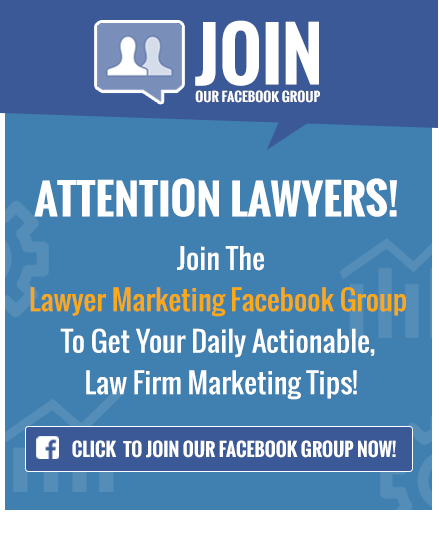 Lawyers are constantly being bombarded with marketing emails from companies saying they can get you on page one, they can get you guaranteed leads, etc. 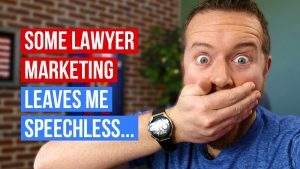 Every one of them claims to have the secret to successful online marketing, yet law firms are still getting burnt. You’ve probably heard of firms that are on their 4th, 5th or even 6th marketing company. The reality is that, while most these companies are in fact selling snake oil, there are some good companies out there worth hiring. The question is, how do you know that a marketing company you might be considering is any good? 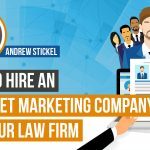 In this post, you’ll learn what questions to ask an SEO company that will help you hire the right company to handle your firm’s marketing. 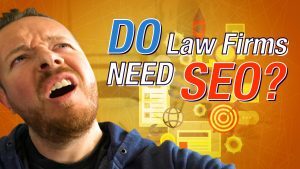 If you’ve already hired an SEO company, you should also ask them these questions. One thing to remember is that a top-notch company will often never offer discounted prices because they don’t need to. If you’re looking for a bargain, the odds are that all you’ll find are companies that will promise you the moon but will only hurt your existing traffic in the long run. High prices aren’t an airtight indicator of great work either. A company that can deliver on their promises is, more likely than not, going to charge you a price that’s commensurate with the services they provide. So, ask the right questions. Listen closely to the answers. When you do, the chances are good that you will find an internet marketing company that will be able to drive the traffic and generate the leads your firm needs to succeed. 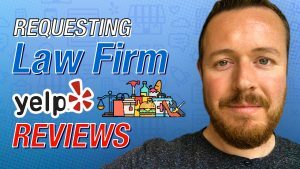 What Will You Do to Improve Our Firm’s Rankings? A marketing firm is going to have some type of strategy to SEO your firm’s site. That strategy will always include a program of building backlinks (links from other sites to yours) as a part of the optimization process. That’s because backlinks are still an important way search engine algorithms find and rank your site. However, not all backlinks are created equal. This means you need to ask questions about the type of backlinks the company intends to build. A good backlink is usually built through outreach. During outreach, the company manually contacts other blogs and sites and/or leverages pre-existing connections that will link back to your site. Outreach is a time-consuming, expensive and difficult process, but it leads to backlinks that that search engines value. Most companies either don’t want to go through the trouble of building outreach backlinks or they don’t know how to do it effectively. Instead, they automate the process, quickly building hundreds of low-quality backlinks that have no real value to search engine algorithms. In fact, these kinds of low-quality backlinks are the search engine equivalent of spam. Using them can get your site penalized very quickly. If a company’s strategy includes building many links in a short amount of time for a very small amount of money, take a pass. It’s a sign that they can do nothing to improve your firm’s search engine ranking. How Do You Keep Me Informed About the Changes Made to Our Site? An internet marketing company is going to have to make changes to your website to improve your web presence. You need to know about the nature of these changes on a regular basis. Ideally, the company will send you reports regarding all changes made to your site on a monthly or even weekly basis. If there’s a problem, you can use the reports to determine what changes to your site caused the trouble. It’s not acceptable for any marketing company to simply track all the changes to your site internally. If they suddenly disappeared (and that does happen) and your site experienced problems, you’d have no way of determining if their changes were responsible. Expect a marketing company to log the changes to your site and report to you on those changes regularly. If they can’t, won’t or don’t, move on. Can You Give Me Information About Previous Clients and What You’ve Done for Them? Hiring a marketing company is no different than hiring a contractor to do work on your house. Any good contractor is more than happy to show you testimonials from satisfied customers, online reviews of his or her work and examples of successful projects they have done in the past. Any good marketing firm should be willing to do the same. If a company can’t or won’t give social proof of what they’ve done for other businesses, it’s a definite red flag. Either they are lying to you about their level or experience, their level of expertise or both. In any event, absent real proof of their abilities, you don’t want them anywhere near your website. You also want to ask any company you’re considering hiring how long they’ve been working with their oldest client. If they are driving growth for a business, that business will, in general, want to keep working with them, month after month and year after year. Shady marketing companies are hit and run operations. They use short-term SEO tactics that end up doing more harm than good in the long-term. That means that they won’t be able to point to examples of long-term satisfied clients. 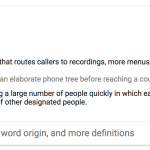 Do You Follow Google’s Guidelines and Keep Up With Google Updates? In general, Google is looking for websites that are unique, valuable or engaging. This is why Google is constantly updating its algorithm to provide better search results for its users. They also provide webmasters with specific guidelines that set out the best practices that can help a site rank quickly. Sites that don’t follow these guidelines and try and manipulate the rules get penalized by Google, sometimes very hard. That’s why any good marketing company will always follow Google’s guidelines. 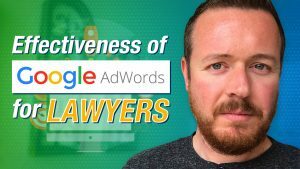 They will also be intimately familiar with the latest changes to Google’s algorithm so that their clients can take advantage of the updates and avoid negative consequences. 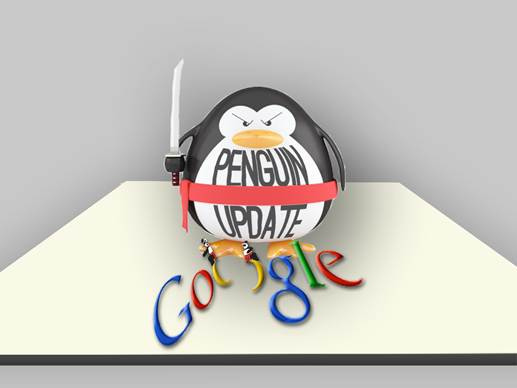 The last three major Google algorithm updates are known as Hummingbird, Panda and Penguin. Hummingbird was designed to pay more attention to individual words in a search query, so that the overall meaning of the query is considered. The result is that sites that match the whole meaning of a query do better than sites that match only a few words of the query. 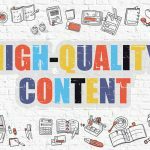 Panda was designed to prevent sites with poor quality content from finding their way into the top of the search results. Penguin was designed to catch sites that were spamming the search results by buying backlinks or getting them through link networks designed to boost search rank. So, when you are interviewing a potential marketing company, ask them about Google’s guidelines and algorithm updates. Ask them how they follow the guidelines and keep track of the updates. Ask them how they optimize sites to take advantage of the updates. If they can’t give you a satisfactory answer, it’s time to move on. Internet marketing companies will use specific “tools” to help optimize their clients’ sites. Most of these tools are helpful and allow a company to process large amounts of information relatively quickly for the client’s benefit. Reporting tools that show things like page views, average time on page, bounce rates and more, such as Google Analytics. Research tools that allow them to gather contact info and conduct keyword research, such as Majestic, Ahrefs or SEM Rush. Some tools can be extremely harmful to a site, especially link building tools that create automatically create thousands of backlinks with the click of a button. Be wary if the phrases SAPE, SENuke or GSA Search Engine Ranker are thrown out there. These tools are often used to create links that Google considers to be spam and penalizes a site that uses them accordingly, should the site be caught. So, ask any prospective marketing company what type of tools they use. If they mention automated link building, it’s another red flag. What Types of Optimization Will You Do? A good marketing company will utilize three types of optimization on their client’s site. Technical SEO – usually done as an audit of the client’s site to look for problems that may be preventing search engine spiders from accessing and indexing the site. Off-Page SEO – focused on building legitimate inbound links from authoritative and relevant websites that increase search engine trust in the client’s site. On-Page SEO – focused on the content on the client’s site, making sure that it is high quality and provides visitors with a unique, engaging and informative experience. As was the case with optimization tools and Google’s guideline and updates, a good marketing company should be able to discuss the details of their optimization strategy with you. 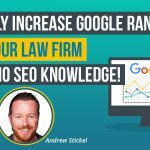 Do You Guarantee That Our Firm’s Site Will Rank #1 for a Relevant Search? This is the $100,000 question that will help you separate the fly-by-night marketing companies from the companies that can legitimately help your firm. No one can guarantee you the number 1 rank in Google. No marketing expert knows the exact Google algorithm. In the 3rd quarter of 2016, Google had revenues that exceeded 22 billion dollars. Most of this revenue was made possible by the information generated by their search engine. It goes without saying that they do everything they can to keep the details of their algorithm secret. If someone tells you that they know the exact details of that algorithm, they’re lying. No marketing expert knows when the Google algorithm will change. Google averages more than 500 changes to its algorithm every year. Some of these are minor and a few are major game changers. Only Google knows how or when the algorithm will change. Penalties to a site can happen anytime. Google weeds out bad sites by updating their algorithm and by manually reaching out and imposing penalties. Either one can happen without warning. A legitimate marketing company will be able to increase traffic to your site on a consistent basis over time, but they will never guarantee a specific rank for the use of a given set of keywords. If guarantees are being made, it’s time to end the interview. The only exception to this rule is for extremely easy keywords, such as your exact brand name. A client recently received the above email. In fact, most lawyers have probably received an email from this guy (every single one of my clients has received one over the years). 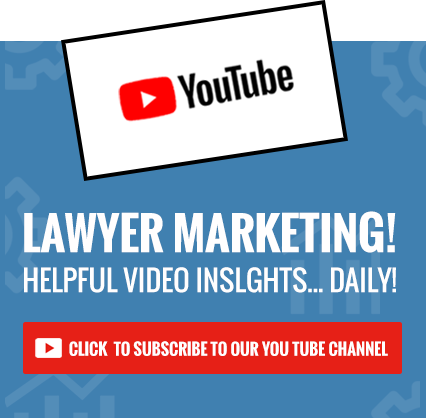 “I don’t charge any up-front fees and you only pay if I can get page 1 results you want.” Many lawyers think this sounds great – he does the work, and if it doesn’t work, you don’t pay. What he’s not telling you is that what he is going to do is extremely spammy, and will likely harm your website. If by some chance it does work and you get to page one, because it’s so spammy, it will not last and you will eventually be worse off than you are now. Stay away from “Results First Ryan” from San Diego, whatever you do! What’s Your Procedure for Keeping Me in the Loop About Your Activity and Results? We’ve already talked about how a marketing company should log the changes they make to your website and report to you regularly on those changes. They should also report to you monthly about their SEO activities and the results they’re achieving. An overview of their activities for that month, including content creation and links built. Having regular metrics can help you evaluate the company’s progress and let you know if what they are doing for you in terms of whether their marketing strategy is having any effect. What Happens if We Terminate Your Services? Any good marketing company will want you to lock in their services for a given time period. After all, the results of solid optimization work will not happen overnight. It will take time to see the marketing strategy that they’ve employed on your behalf start to pay off. That said, circumstances can change. You might suffer a setback that makes it difficult to continue paying for their services. Alternatively, you may be disappointed with the results, despite their best efforts. The point is that you have a right to know upfront what will happen if things go south with a company you’re working with. Find out what penalties for early termination are written into the service contract before it’s too late. Also, be sure to find out who owns the website, content and images. 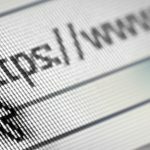 How Do You Fix Penalized Sites? 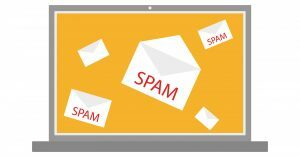 As we’ve discussed, over the past several years, Google has instituted changes to their algorithm and manual review processes that actively penalize sites for certain activities, like using spam backlinks. Any established marketing company probably has had experience dealing with penalized sites. When it comes to your site, you can never say that you won’t be penalized. Google is a monolithic entity. They take actions based on what is good for their consumers, not on what is good for any individual website, and there are many instances of “collateral damage” after an update. Mistakes can happen and if they do you need to know that the marketing firm that you’re working with can rectify those problems. Find out what procedures the company has in place to resuscitate penalized sites. In addition, find out what they do to prevent penalties from being applied in the future. What Metrics Do You Use to Determine Success? You’re hiring a marketing company to improve your bottom line. Therefore, it’s important to know up front what metrics any company you’re considering hiring will use to determine their success. 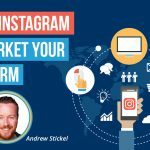 While they may consider an increase in traffic or an increase of a specific metric a sign of success, you’re looking to grow your business. While an increase in traffic is great, that increase alone will not positively affect your revenues. That’s why a good marketing company will, at least in part, look at ROI or traffic conversions as a metric to determine the success of their marketing campaign. Why Should I Hire Your Over Another Marketing Company? This is another question that should easily help you to separate good marketing companies from companies pretending to be good. We’re cheaper than the competition. 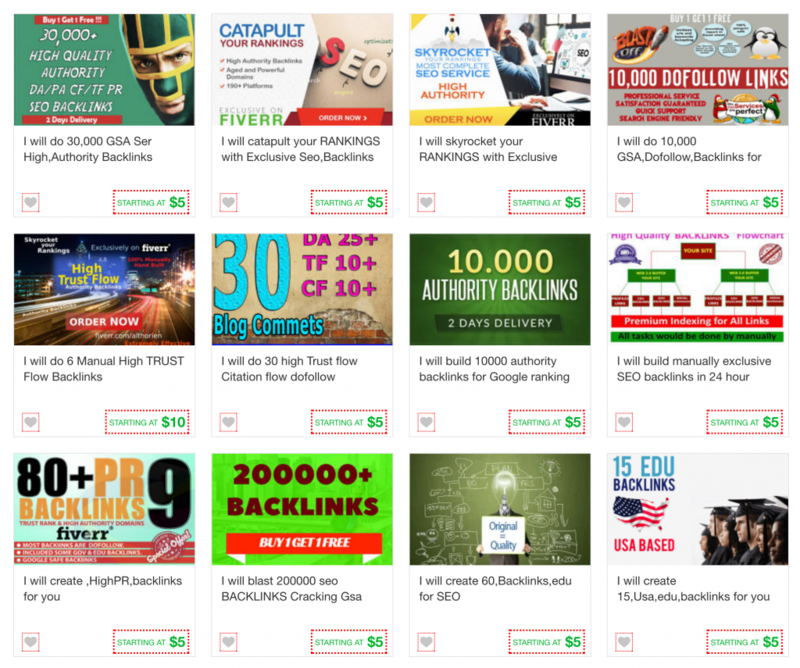 We can get you thousands of backlinks. We can guarantee that you’ll get the #1 ranking for your search term. We get results faster than anyone else. 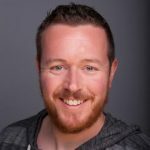 A good marketing company will answer this question by pointing out their successes, satisfied clients and the reputation they have in the industry. What Platform Will My Website Be Built In? 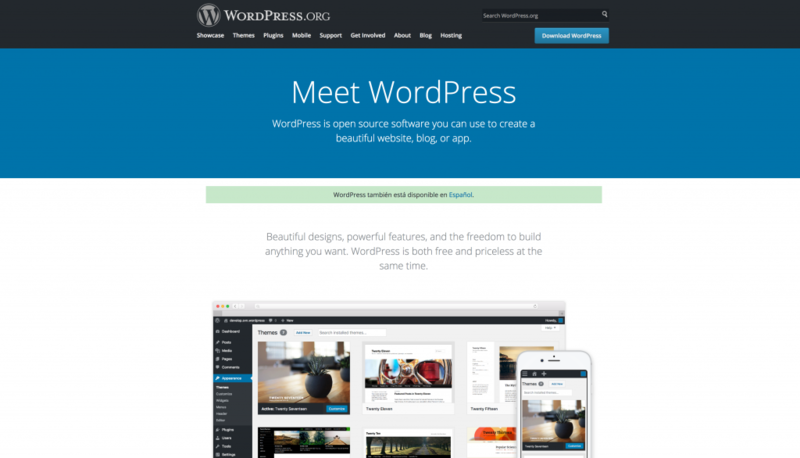 I always prefer websites to be built in WordPress, as it is the most user-friendly content management system (CMS) out there. The one thing to avoid is a propriety platform that is specific to the Internet marketing company. If you are forced to use a proprietary system and decide to terminate your relationship with the company, you’ll likely need to start from scratch with a new website. Here is the God’s honest truth: you may hire the best SEO company out there; they may do everything right and you still may not see results. There is a randomness factor in Google that cannot be controlled, and it can be ridiculously frustrating (trust me, I know firsthand). Should this happen, you need to know how the company plans to handle it. What have they done in the past when their best efforts haven’t gone to plan? Do they supplement with PPC? Do they help with another form of lead generation while performing other SEO experiments for you? The key to this question is their acknowledgment that sometimes it doesn’t work, but they have a plan. So, in conclusion, keep in mind that marketing and optimization is a long-term investment in the future profitability of your firm. There are no quick fixes or instant results. It can take months for any marketing strategy to show that it works…or doesn’t . That’s one of the main reasons why there are so many sub-par marketing companies out there. You won’t find out they’ve been blowing smoke in your direction until too much time and money have gone under the bridge. The questions we’ve just reviewed are designed to prevent this from happening by helping you to decide up front if a particular marketing company has what it takes to boost your firm’s revenues to the next level.